We are offering Paper Machinery Parts to our clients. We are offering Metal Slat to our clients. 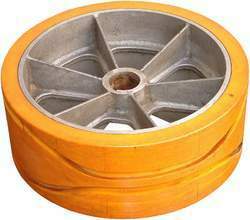 We are the leading manufacture an supplier of 2 Pulley. We are offering 6 Rings to our clients. Having both quality and client centric approach, we have been engaged in manufacturing, exporting and supplying broad array of Rings. 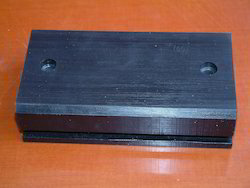 We introduce ourselves as the manufacturer of Dock Bumper Pads, a multipurpose and unique engineering polymer plastic material available in the form of Block, Rod, Sheets, Profile etc which is suitable for Fender & Docks as well as Hydraulic architecture and Environmental technology due to its following excellent properties. Sliding elements and guide leads made of polyrib uhmw ensure an even course of movements without jolting. To meet our customers’ diverse needs, Khanna poly offers many Nylon Sprocket made of industrial plastics. Plastic roller chain sprockets often prove superior in performance and durability compared with conventional metallic sprockets. The benefits of using plastic roller chain sprockets include extended chain life, corrosion resistance, lightweight, and decreased noise levels. Khanna polyrib is the largest plastic fabrication company in the Midwest with more than 70 years experience and one of the largest collections of fabrication equipment in the Orthotic & Prosthetic PP Sheets. We can effectively meet any of your custom fabrication needs and we also offer design assistance and material selection services to ensure that you get the best product possible. Having both quality and client centric approach, we have been engaged in manufacturing, exporting and supplying broad array of Perforated Plate. 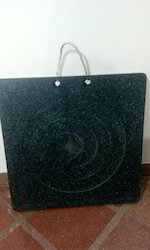 The offered plate is manufactured using top notch quality raw materials and pioneering techniques as per set industry norms. 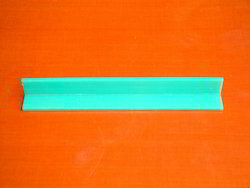 We are highly acknowledged organization engaged in presenting a remarkable range of Sealing Strip. 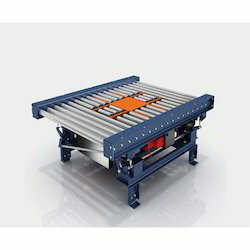 We are offering Pallet Conveyors to our clients. We are offering Pad for Cranes to our clients. We are offering Hydrofoil with Tee to our clients. Precision Machined Components include adjustable brackets available in plastic and stainless steel adjustable heads and are able to accommodate ½” and 5/8” adjusting rods. The adjustable brackets allow for proper placement of guide rails in curved applications. 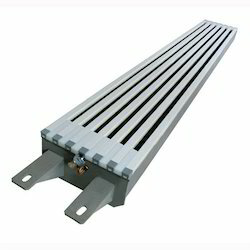 Fixed brackets, plastic and stainless, are also available for straight running conveyors. Adjusting rods, clamps and clips provide means to retain and guide rail and offer the ability for the conveyor to handle multiple size packages. Cross blocks add flexibility to locating various components. 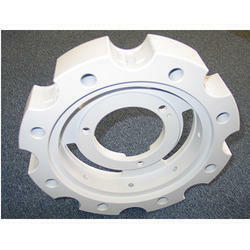 We are offering Plastic Machined Components to our clients. Polyrib plastic is partially csystalline polyamide and have to manage to gain a key position in engineering plastic through the combination of high strength the toughness even strength and high toughness even a low temperature. 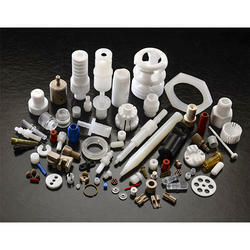 Polyamide has become a multi-purpose plastic. These are featured with Good toughness, high dynamic load bearing capacity, high strength and stiffness, almost no tension crack formation, good chemical resistance, good gas barrier properties, higher temperature operating capacity, good wear and abrasion resistance, low internal stresses and good dimensional stability, excellent abrasion resistance, excellent flexural strength, very good operation without lubrication. These are used in house pulleys, chute liners, bearing, bushes, guide plates, chain guides, wiper shields, shaft support, out rigger pad, wear strips. 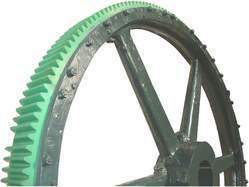 Our components can be used in diverse industries such as construction, oil and gas, pharmaceuticals, food processing, railway, mining, water treatment and automotives, gear, sprockets, wear pads for telescopic booms, house pulleys, chute liners, bearing, bushes, guide plates, chain guides, wiper shields, shaft support, out rigger pad, wear strips. Also, these are useful for mining and construction industries. 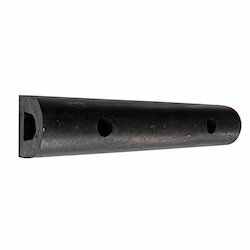 These are featured with exceptional resistance to wear and abrasion, light weight, typically 1/6 the of the weight of steel, self-lubricating resulting in low maintenance cost, low co-efficient of friction. We are offering Spur Gear to our clients. 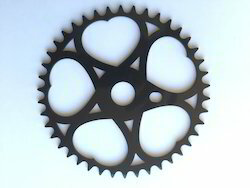 Spur gears are simple, easily manufactured gears and are usually the first choice when exploring gear options. Transmitting power between parallel axes, the teeth project radially on the disc. Spur gears are regularly used for speed reduction or increase, torque multiplication, resolution and accuracy enhancement for positioning systems. We are offering Chain Wheel to our clients.